A cuddly toy of your jaguar. A factbook about your jaguar plus bookmarks and stickers. Two exclusive magazines: WWF’s ‘Wild World’ and ‘My Jaguar’ with news and updates for your adopted animal. Jaguars’s are mainly quiet creatures that are happy to spend time alone when hunting or fishing. They love to live in hot countries and are amazing athletes, and can jump up to 15 metres in one bound! They use their coloured fur as camouflage in the long grass, and are one of the few cats who love the water and are excellent swimmers. Jaguars are now endangered as their Amazon feeding ground is becoming smaller due to deforestation, leaving them with less areas to hunt in. The jaguar is one of the world’s most beautiful animals. It is because of this beauty that hunters trophy their fur so highly and hunt them for sport. You receive a cuddly toy makes this an ideal gift for a child. The word jaguar comes from the native American word meaning ‘the killer that takes its prey in a single bound’, and they were once worshipped as a god! The jaguar has an extremely rough tongue. This is peel the skin away from the flesh of its prey, and then the meat from the bones. Nice! Hi there, I’m a jaguar and I’m one of the largest cats around. Though I may look like a leopard, I’m much bigger and far more powerful. I’m an excellent hunter, and can even swim. I live in the Amazon, but unfortunately my numbers are dropping rapidly due to humans destroying my habitat – some even kill us for our fur. I think it looks better on us though. Please adopt me if you can, as we may become extinct unless somebody helps us very soon. Jaguars are the largest member of the cat family in the Americas. They once roamed from the southern United States in North America, all the way to Patagonia in Argentina, South America. They are now practically extinct in the northernmost regions due to loss of habitat. On rare occasions, jaguars have been spotted in the US states of Arizona, Texas and New Mexico. Evidence suggests that the jaguars in Arizona – though few in number – might be actively breeding. The endangered jaguars in Arizona and in the rainforest are able to survive because the heavily-wooded regions and/or swamps are conducive to their safety and – ultimately – their survival. Jaguars are not nocturnal, as regularly claimed. They are – more correctly – crepuscular: That means their active hunting times are dawn and dusk. As such, a jaguar’s daylight period is typically one of rest. During the rest period, a jaguar will conceal itself within the tree canopy or in the thick undergrowth. Its patterned fur provides a very effective camouflage. The camouflage is also useful during the jaguar’s active period, which takes up approximately 60 percent of its day. By concealing itself so effectively, a jaguar will usually ambush its prey, rather than giving chase. In the animal kingdom, the jaguar’s ambush skill is second-to-none. This skill has been attributed to the fact that jaguar’s are apex predators. An apex predator resides at the top of its food chain and has no predator of its own. Humans and human actions are the jaguar’s greatest threat. A jaguar might also stalk its prey during its active day, blending in with its surroundings as it waits to pounce. The jaguar’s solid and compactly-built body facilitates a smooth agility, whether it is climbing a tree or crawling through dense vegetation. When the jaguar attacks, it leaps onto its prey and bites through the animal’s skull with its sharp canine teeth. Following the kill, the jaguar hauls the body to a secluded area before eating it. Being carnivorous, the jaguar will eat between 1.4 and 2 kilograms of meat each day, depending on its size and the availability of prey. Following periods of famine, jaguars have been known to eat in excess of 20 kilograms of meat during a single feeding session. A day in the life of a jaguar is only one of numerous days for a jaguar that survives into old age. Jaguars are renowned for their longevity, living up to 15 years in the wild. They can live up to 23 years in captivity. I’m so happy that you are reading and learning about endangered jaguars. Our numbers are falling really fast, and we need more people to learn all about us – and to help us to survive and become more plentiful. I was blind when I was born, and couldn’t see anything at all until I was two-weeks-old. Nearly all human babies can see when they are born, but jaguar cubs are always blind at birth. I’m a really good swimmer. You’re probably surprised by that, seeing that cats don’t usually like water, and since I mostly hunt on land. Even though I have powerful legs, I can swim very fast and move quite easily. When I do go swimming for food, it might be for crocodiles, fish or capybaras – which are like Guinea Pigs. I swim strongly even when I’m carrying my prey. I also enjoy bathing in the water – but no-one tells me to wash behind my ears. Although I am massive and look ferocious, I would rather not get into fights. We can be fierce fighters if we feel trapped or in danger, but we usually try to avoid aggressive situations by keeping out of each other’s way. We growl or snarl to frighten off the competition. When we do fight, it is mainly for territory. Jaguar males may also fight over female partners. I’m not likely to attack humans. Lions, tigers and leopards strike at humans without any reason, but jaguars are not like those other big cats. The people who live in or near the jungle are scared of the jaguars in the rainforest, but we don’t attack people unless we feel threatened – or are provoked in some way. The patterns on my fur make me different from every other jaguar. They are called rosettes, and are unique to me. My rosettes will not match the rosettes on any other jaguar. Each human being has his or her own special fingerprints, and all jaguars in the rainforest have their own special patterns. The livelihoods of the world’s Jaguar population are under threat, as the rainforest is destroyed and threatens the natural habitat of one of the natural world’s most beautiful and elegant of creatures. 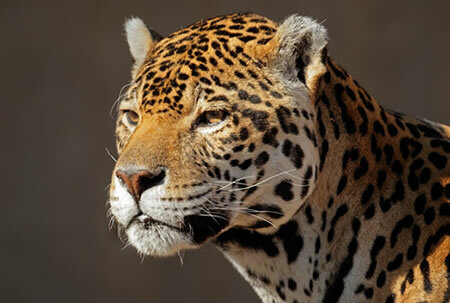 The International Union for Conservation of Nature has deemed that jaguars are Near Threatened. Because their numbers have declined so rapidly, the species have attained conservation status. Without concerted conservation efforts, these endangered jaguars face the distinct possibility of extinction. Jaguars have long been admired for their fabulous furs, and the fur trade of the 1960s contributed greatly to the animals’ decline. Tens of thousands of jaguar pelts used to be collected annually in the Amazon countries. Since 1973, a widespread ban on the hunting of jaguars has had a huge impact on the curtailment of the trade. Many central and southern American countries have made it illegal to hunt jaguars in the rainforest. Jaguars prefer forest environments, but deforestation has eliminated regions of forests and wooded areas that were once jaguar territories. Most of the time, forests are removed to make way for human settlements or for agricultural purposes. When this happens, jaguars lose vital hunting and mating territories. This loss negatively impacts their survival. 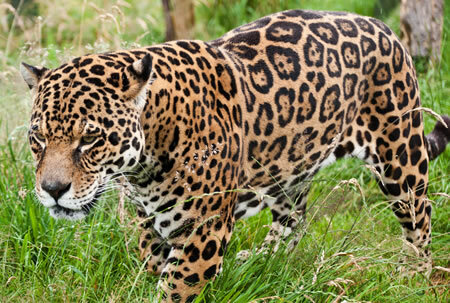 Ranchers have increasingly encroached on jaguar territories, using former jaguar roaming grounds for cattle grazing. 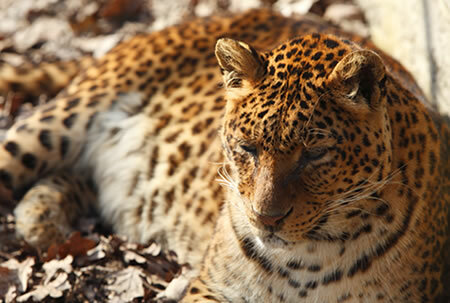 As such, jaguars have been known to take cattle, horses and other livestock. To combat this behaviour, many ranchers hire men to search out and kill the offending jaguars. Ranchers are being educated about the plight of jaguars, and are being encouraged to change their approach regarding the big cats. Public support of the various conservation efforts is highly encouraged. One conservation effort involves giving concerned citizens the opportunity to adopt a jaguar. When someone decides to adopt a jaguar, he or she will receive a book about jaguars, updates about the adopted jaguar three times each year and an optional plush jaguar toy. 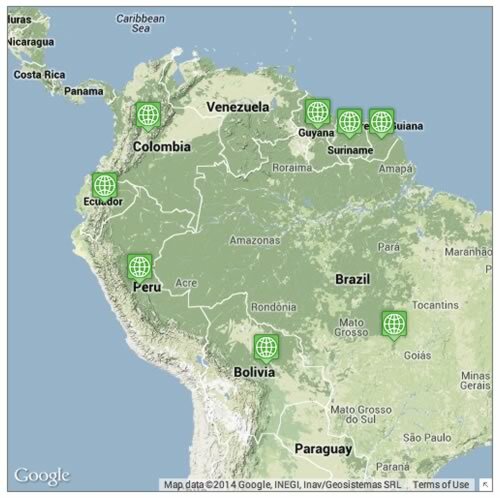 A fifth of the Amazon has already been destroyed, impacting jaguars in the rainforest. Funds raised from the ‘adopt a jaguar’ campaign will support efforts to preserve large swathes of jaguar habitat in the Amazon. The scientific or Latin name for a jaguar is Panthera onca and they now exist primarily in Central and South America – particularly in the Amazon rain forest, which is home to the largest population of jaguars.